The world has lost a beautiful spirit. Marinke Slump, known to many as Wink, from the blog A Creative Being has succumbed to the struggle with depression and suicide. The online craft community has been devastated. My initial reaction was a painful mix of sadness, shock and fear. In the face of such devastating news I wanted to do all that I could to bring our community together and thus was born the #MandalasForMarinke project, a collaborative crochet art project designed to honor Wink’s life and work and celebrate her amazing creativity in a way that allows her art to keep inspiring others even though she is now gone. It is intended as a way to help the many affected crafters channel their own grief and complex feelings upon hearing the news. This project accepted submissions for several months and received contributions from several hundred amazing crafters all around the world. 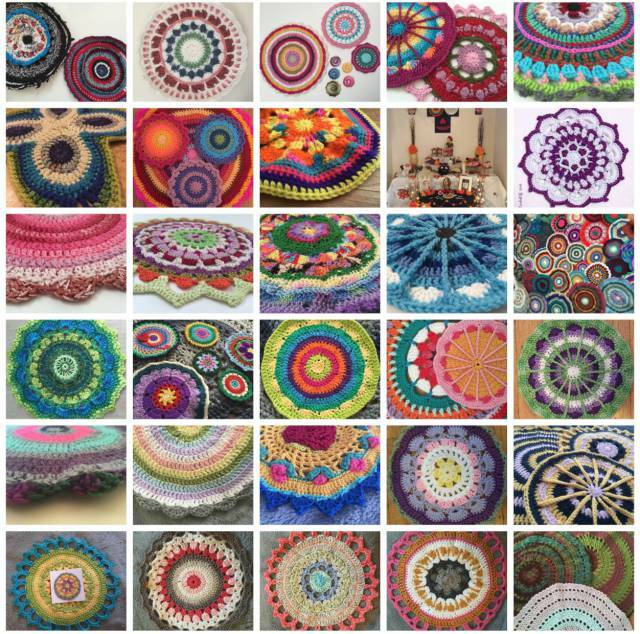 More than 1000 mandalas were collected, and they were displayed in near-daily blog posts here on Crochet Concupiscence for over one year. The project celebrates Marinke’s life and work and raised awareness about all aspects of depression, suicide and mental health issues. I was both touched and humbled by all of the creativity and love that came from so many people in making these mandalas, and I am honored to be able to share the art, stories and information that came with those contributions. I hope that Marinke would be proud. Who was Wink? What happened? Marinke was a crochet designer that I met online several years ago when she shared her story for my book Crochet Saved My Life . She was very open on her blog about her struggles with depression. Sadly, she couldn’t win that battle. You can read the post about this from her sister on A Creative Being. Read Marinke’s story here. 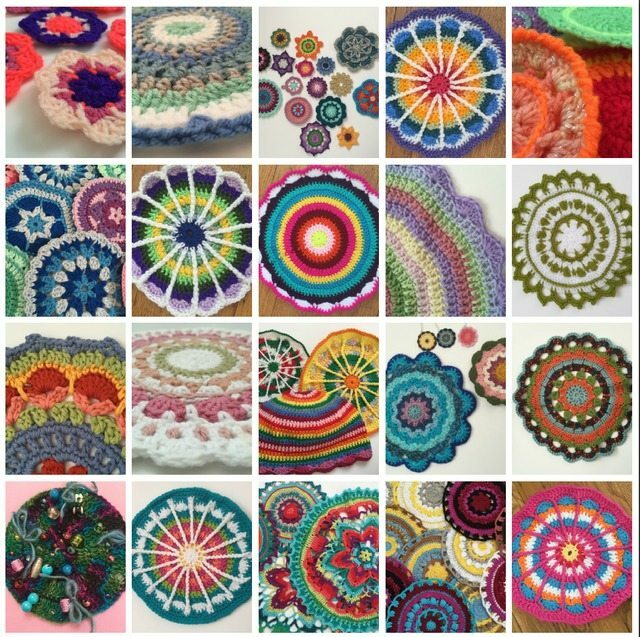 Wink really brought the crochet mandala pattern into the limelight and it took off throughout the craft world. She used other people’s patterns in creative ways on her blog, creating stunning posts showcasing color inspiration. 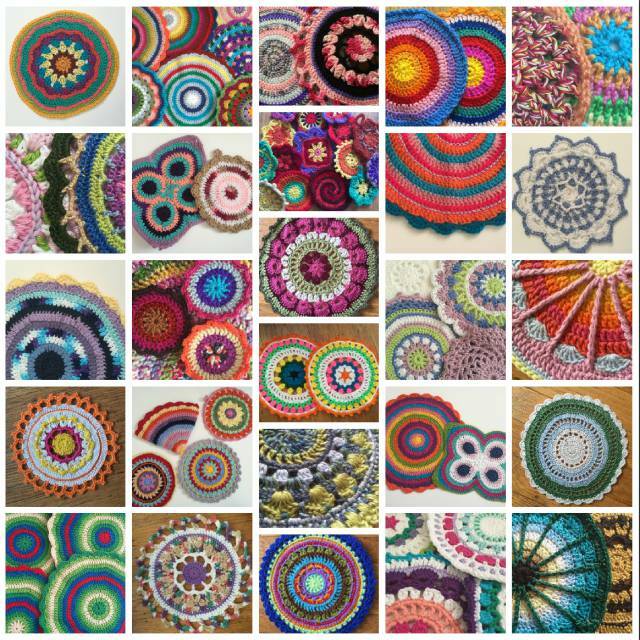 She created her own original crochet mandala patterns that so many people have used. 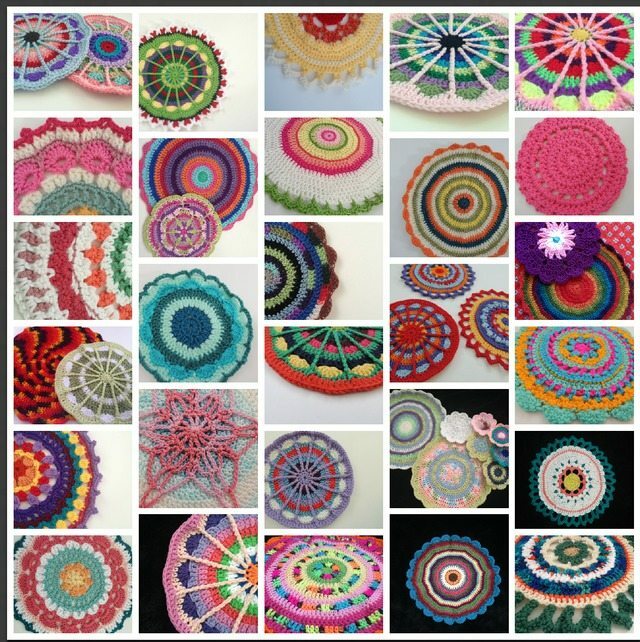 Plus the mandala is a meditative item to crochet and can be healing for yourself as you work it. 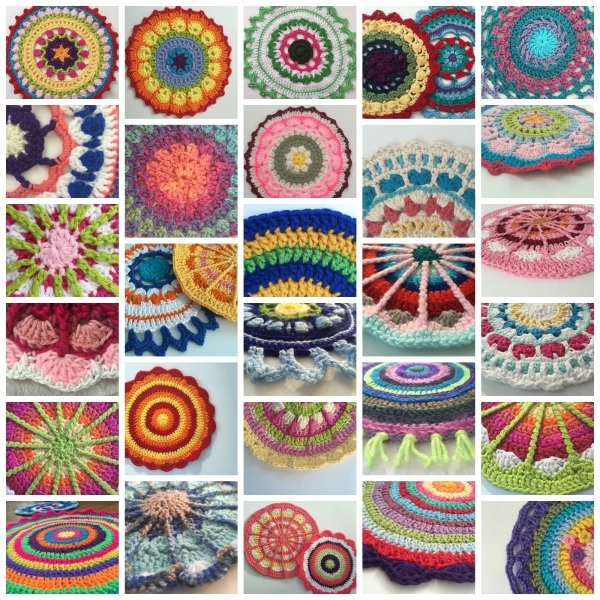 Here is a look at Wink’s mandala patterns and other crochet mandala patterns. How has this project raised awareness about depression? The contributions are being collected for one or more shows to raise awareness about depression (as well as about the health benefits of crochet). The works being gathered into a crochet art book. This will be gifted to various libraries and organizations to help raise awareness. Funds generated will go to support the art shows that will be raising awareness. A portion of any additional funds will be donated to a related organization. Many people contributed mini mandalas (hundreds of them!) that are being freely gifted to folks who are in need of a smile, who have been affected by depression/ suicide and/or who need a tangible reminder that they are not alone. Can I share this page? Yes, please do! The more people we can reach to support each other during this time and celebrate Wink’s work, the better. Make sure to link back here so people know how to participate. Feel free to use either of the photos above in your posts if you want to. Is the #MandalasForWink project the same as #MandalasForMarinke? No, but we are happy to work hand in hand. #MandalasForWink is a separate project honoring Wink, created by the team at Design Wars. 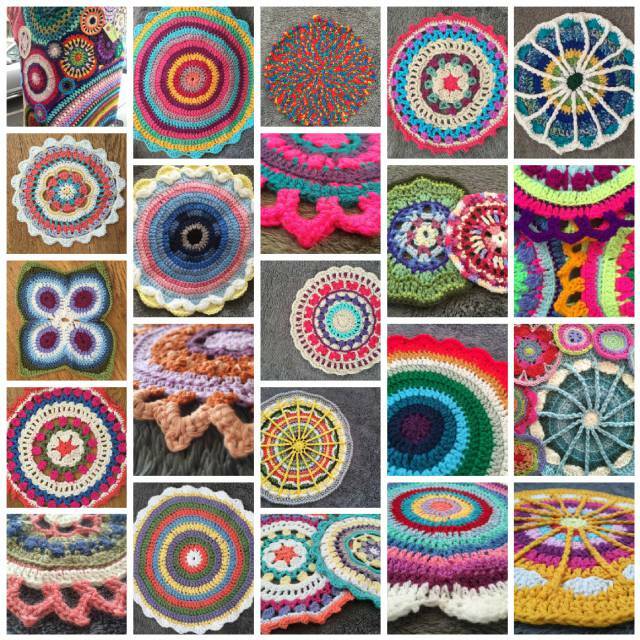 People around the world are asked to share a crochet mandala online with that hashtag to spread Wink’s beautiful inspiration far and wide. 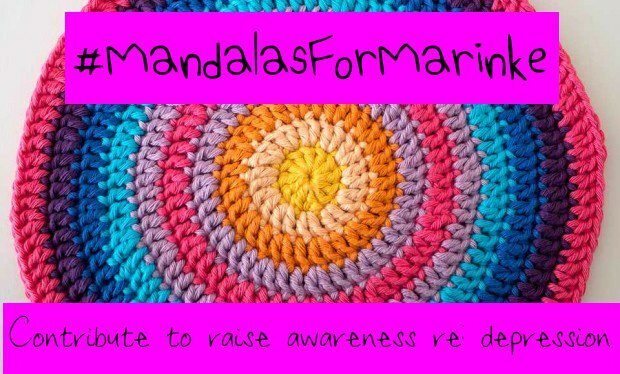 Anyone who joins the #MandalasForWink project is absolutely welcome to send that same mandala (or any other crochet mandala) in to the #MandalasForMarinke project as well. I have other ideas about how I’d like to contribute or collaborate. How can I let you know? Contact me via email (kathryn.vercillo on gmail) with your message. I’d love to hear it. 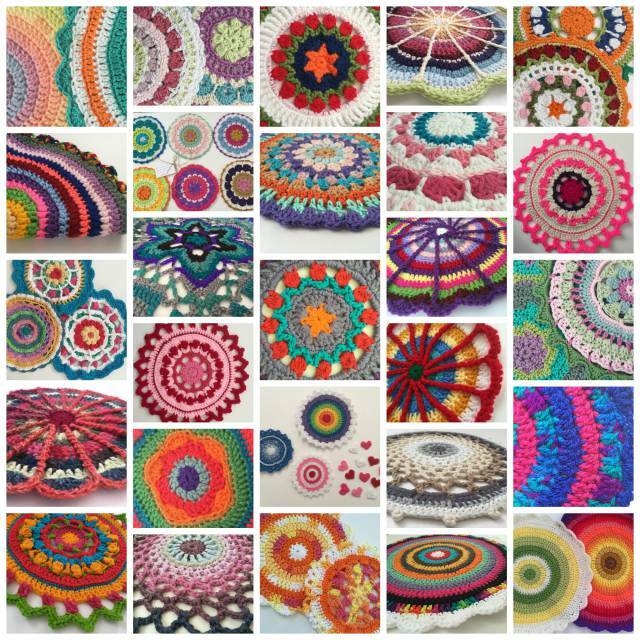 Where can I get more information about how crochet helps people heal? 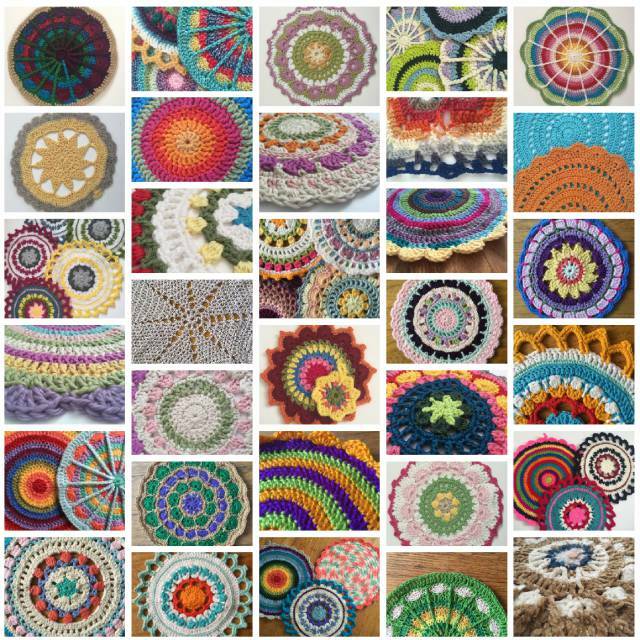 You’ll find a roundup of links to my crochet health articles here. You can find all of the blog posts about the Mandalas for Marinke project here. Below you will find photos of many of the contributions along with links to each individual post. An update on the impact of this project on me. 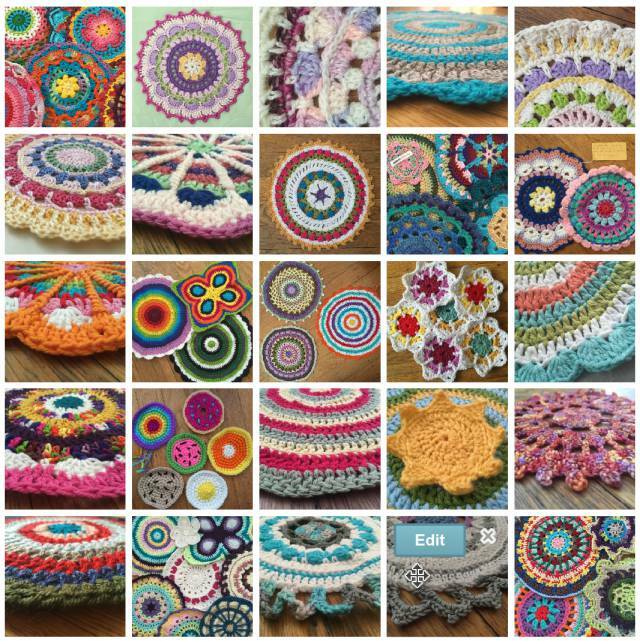 50 Beautiful Crochet Mandalas for Marinke by Jennie’s Yarn Shop! NOTE: There’s a post showing some mandalas that got a little mixed up in the uploading process (with my huge apologies) and whose makers aren’t clear. A few of these have been identified and the post reflects these updates. Some of these are still seeking their makers if those people want to be identified publicly! A few of the mandalas were also featured in a Day of the Dead crochet art exhibit. And there was also a crochet mandala tree made for Wink. Thanks for your message. I also really love Wink’s bag, which was one of the newest projects she created. Beautiful work! There is no specific pattern to use for this project. 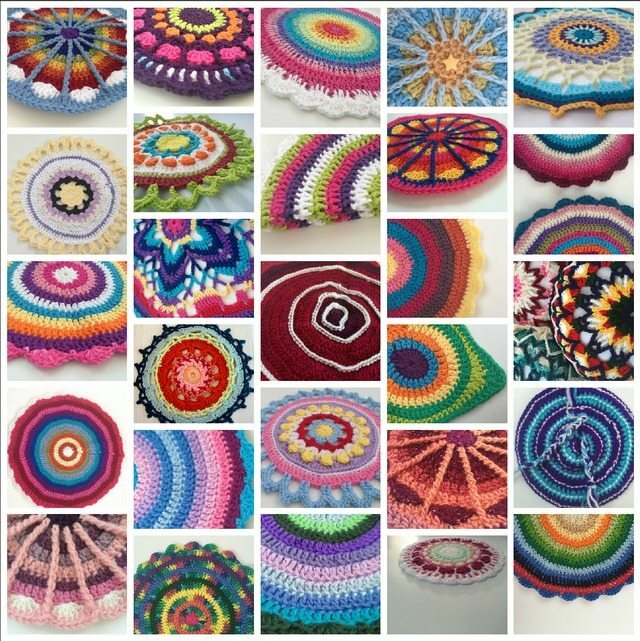 It was suggested that people use patterns that Marinke had created, some of which are rounded up at https://www.crochetconcupiscence.com/2015/07/crochet-mandala-patterns-by-marinke/ (although not all are currently available), but she also had other patterns in published magazines, and she contributed to a book that is out now of crochet mandala patterns as well. This is an awesome tribute to Wink and I’d like to participate. I’m a beginner but am attempting her mandala from Tuts, the yellow, grey and white. I’m having problems starting the first round in mustard, round 6 I believe it is. You start with dc4tog. Can you help please?? I haven’t done that mandala myself yet but hopefully I can help. Basically what you are doing is creating 4 dc next to each other but leaving the last step off of each one until the very end when you cluster them all together with the final yarn over and pull through. Let me know if there’s more I can do to help. Thanks I!ll have another go? I read “Crochet Saved My Life”, I was in a dark time of my life, and Wink’s book was an inspiration. When I crochet I am able to relax and forget everything for a while. I have Depression and Social Anxiety. I was in 2 mentally and emotionally abusive relationships, the last one the abuse was from my former husband & his daughter. They are out of my life and finally, through trusted friends I met someone who is good and loving…he even loves my 3 cats and dog. Thank you Wink you are loved and missed. So glad that you were able to come through to the other side of those relationships and find a loving connection. HUGS. I don’t have any information yet about what’s happening with the sales from her patterns. It is my hope that they have access to all of her accounts and will be able to utilize those funds but I haven’t heard anything specific yet. I will be reaching out to them when I am able to get their contact information – while also respecting their need to go through the grieving process at this time. I’ll let you know as soon as I have additional information. Where can I find her mandala patterns? Don’t mind at all, please share! THANKS!!!! i would like to send a mandala but I can’t find an address as to where to send it. I think it is a wonderful thing to do in memory of Wink and bring to notice the issue of depression which affects an awful lot of people in the world. Hi Kathryn, I just love your project! 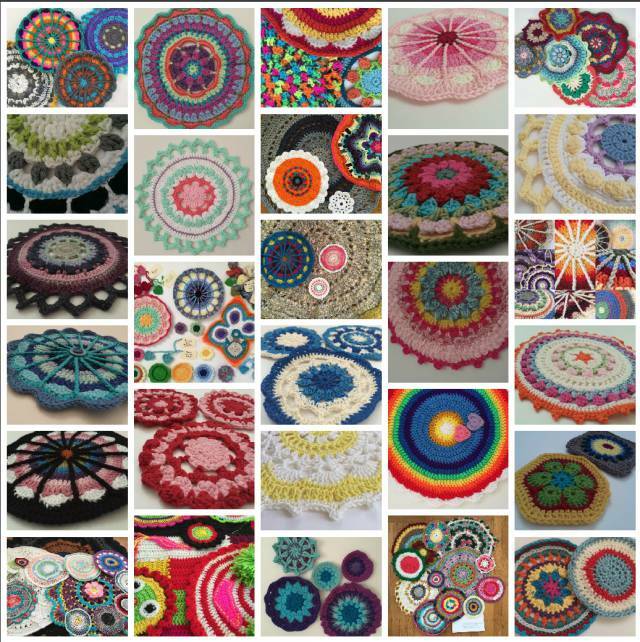 Just to let you know my mandalas are on their way from Holland. I just got back from the post office. Hope everything reaches you okay. I wish I could come over for the art show. It must be amazing to see all the colorful mandalas together. Keep us posted! Wonderful, thanks for letting me know! Are you still accepting mandalas or is it too late? The deadline has passed but I’m happy to work with anyone who still really wants to participate. Please email me – kathryn.vercillo (on gmail). Hello I was wondering if you received my mandalas as I forgot to add my note in the package I mailed in October 15th. I am anxious to subscribe to your site. Will send in a years subscription, as it were, next week. Looking forward to your goals for this. The patterns don’t seem to be available for purchase on Ravelry. Is there another source to get them? Wow Kathryn, There are so much! can’t belive it :) It’s heart warming to see. Thank you for all the work you keep putting in to this project. i love it. 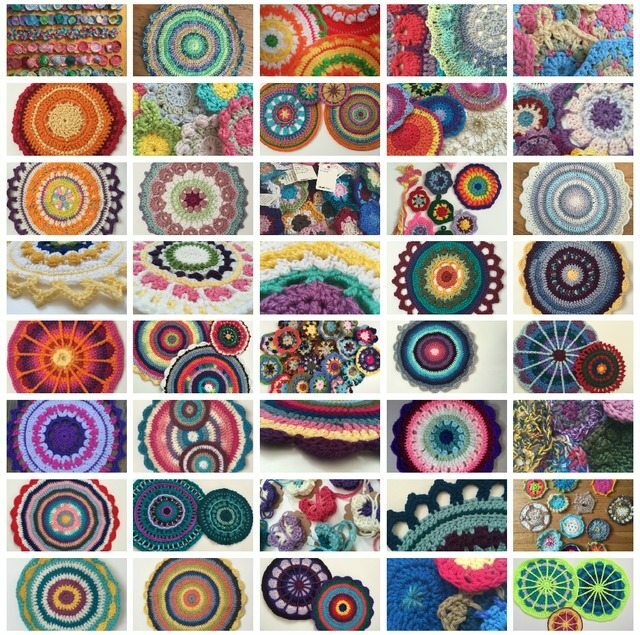 I crocheted a mandala for Marinke back in August… see attached blog post! I never knew Wink, but her story inspired me. I had a stroke nearly five years ago, and my recreational therapist taught me how to crochet again.